It’s hard to get a feeling for a country in just three days. 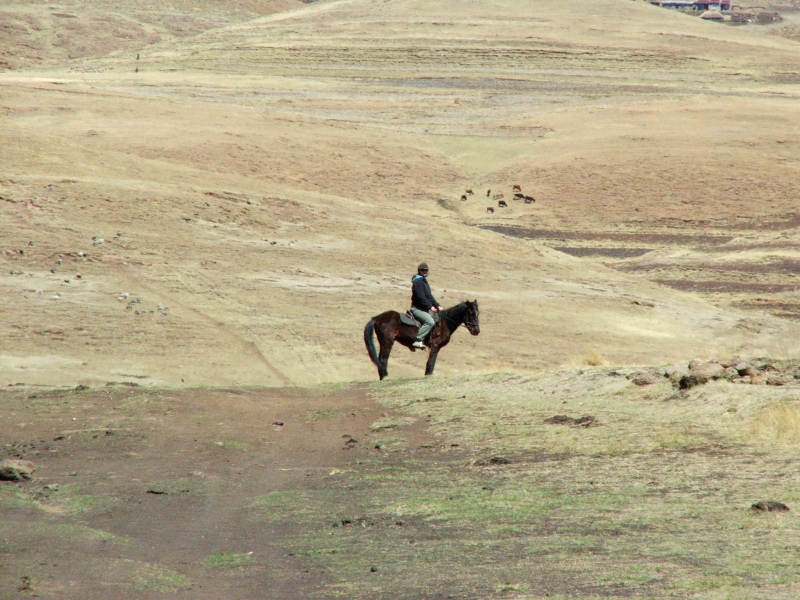 We spent so little time there all we did was the only thing Lesotho is famous for – pony trekking. 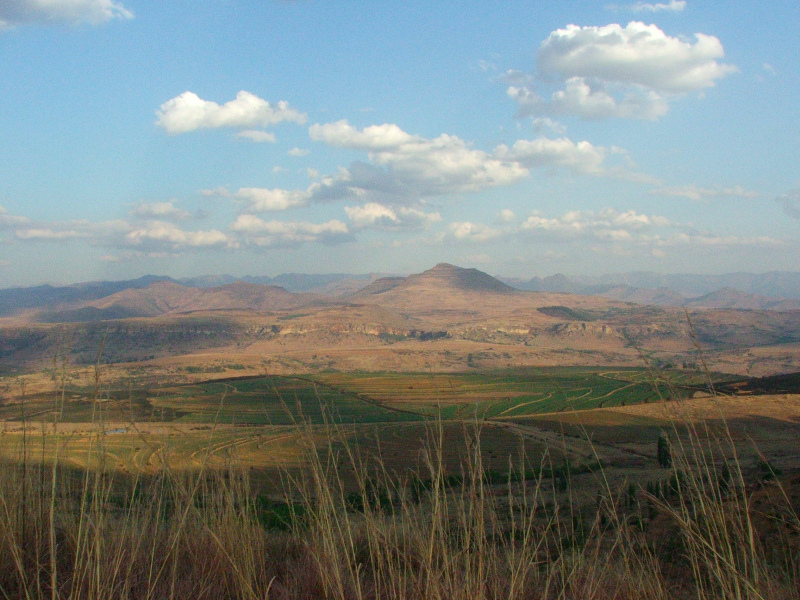 With a boot full to the brim of South African wines we nervously crossed the Lesotho border. 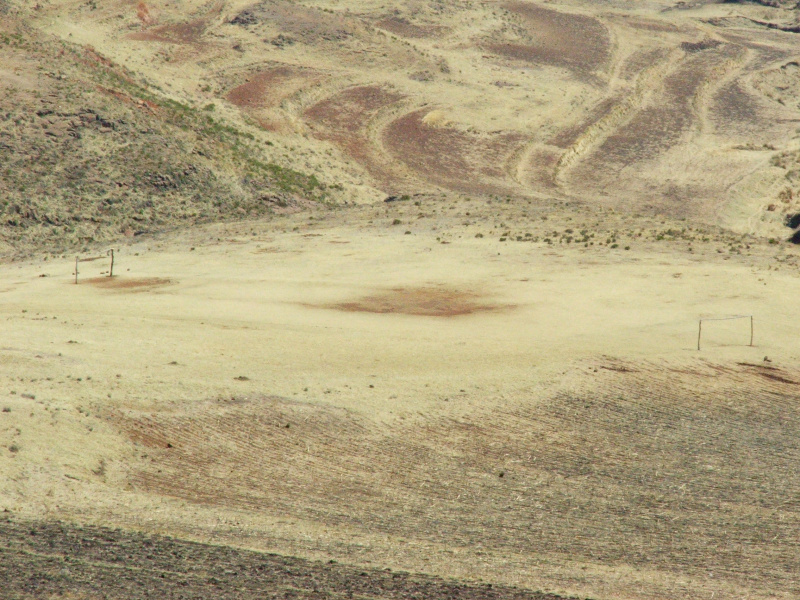 As usual the border revealed an immediate change in landscape and people. The earth more bare and the street sellers were back. Cooking up this and that, from delicious smelling chicken to roasted corn. We found ourselves in Maseru straight away and headed south for Semonkong, a three hour drive, supposedly, over “good” gravel roads. Already we could see everyone wearing the traditional blankets. Over the shoulder for the men, different ones for the uninitiated boys and around the waist for unmarried girls. An ear of corn on the blanket to signify virility and fertility. Some of these huge and heavy looking blankets going all the way to the feet if hung from the shoulder. 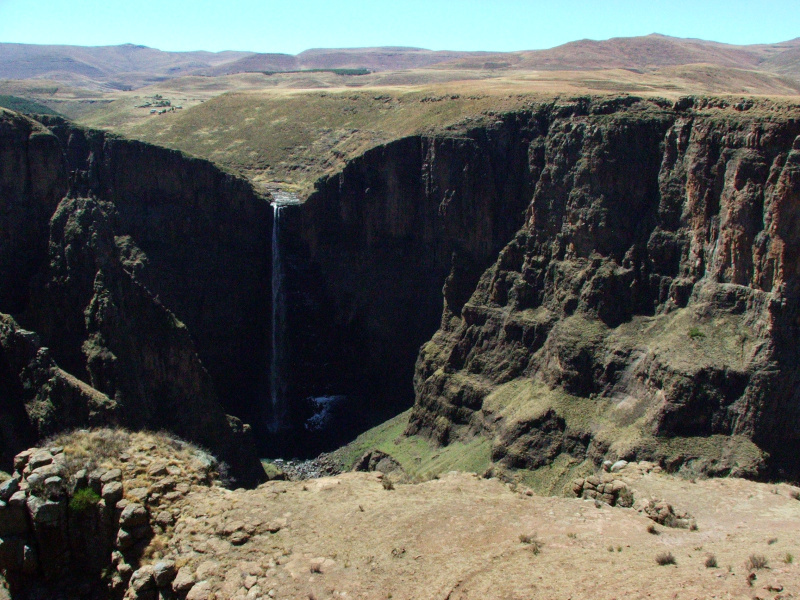 They are a requirement here as not one bit of Lesotho is below 1000 metres making it quite cold and some peaks still with a dusting of snow. 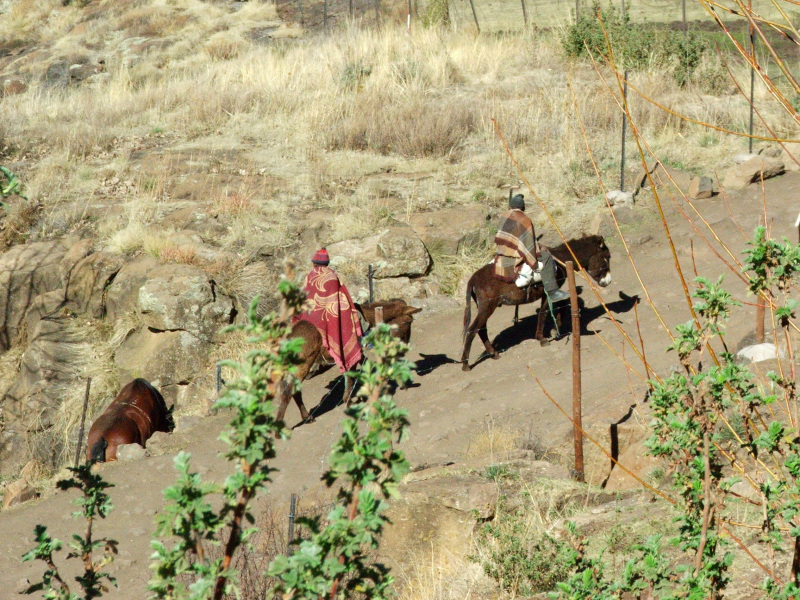 As we inch further and further into the southern part of Lesotho increasingly more and more horses are about and are now the de facto mode of transport. It’s clear to me now why; the roads are dire in the south. They are more like assault courses than roads. 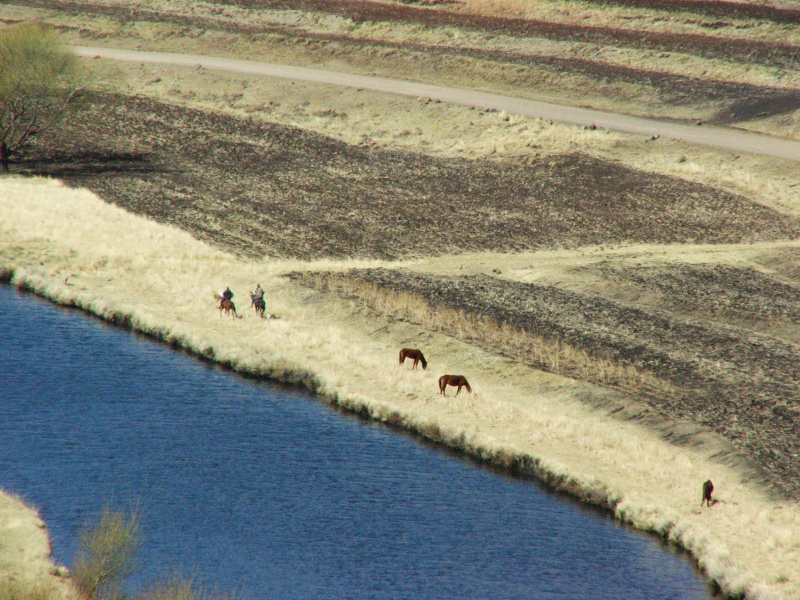 Ideal for horses. Regardless, the men and women on their horses are a magnificent sight with their hand made saddles and sporting their huge blankets. Finally, Molly manages to get me on a horse for a trek down to the falls. Apparently it wasn’t enough to get me on a camel and poke fun at my camel driving ability in Morocco. Now, I did ask for a big horse but it seems that they are “one size fits all”. So, my pony is up for a long struggle under my huge muscular bulk for the next few hours. And no mount of encouragement would make it go any faster. Molly on the other hand was delighted to be back on a horse and cantered off. I was impressed. That night we drank and got drunk on a few delicious Maluti beers. We christened them Maluti Muti. And got chatting to some folks at the bar. The Lesotho’s that we encountered were wonderfully welcoming and genuine. Even the women working in the kitchen who had no English and insisted on calling us “Mama & Dada” were wonderful. Lesotho is officially on the “return to” list.